To better promote economic development within the Golden Triangle, the BID tracks and analyzes all kinds of data, from foot traffic to market demographics and more. 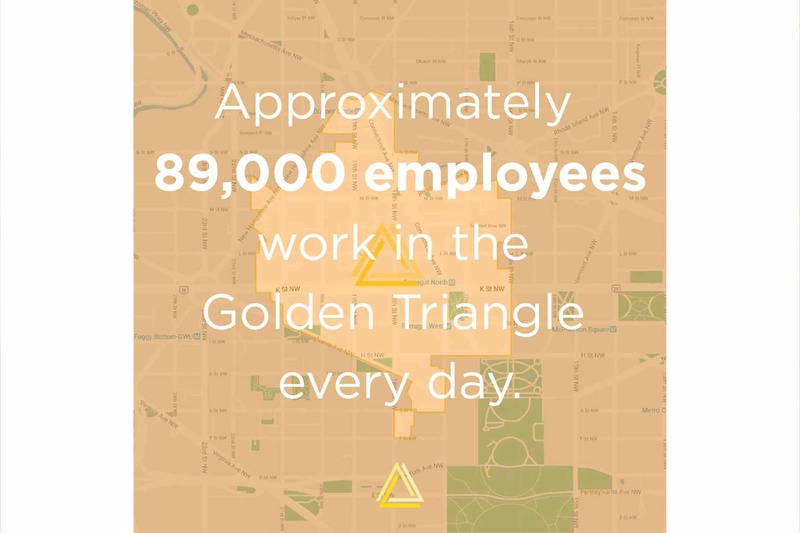 The numbers speak for themselves—not only is the Golden Triangle a great place to work, visit, and shop, but it’s also continually changing and improving. Keep tabs on the latest information about the BID by exploring the data and research here, and by signing up for the monthly Market Report email!  Click on a topic below to find more detailed information, updated regularly. 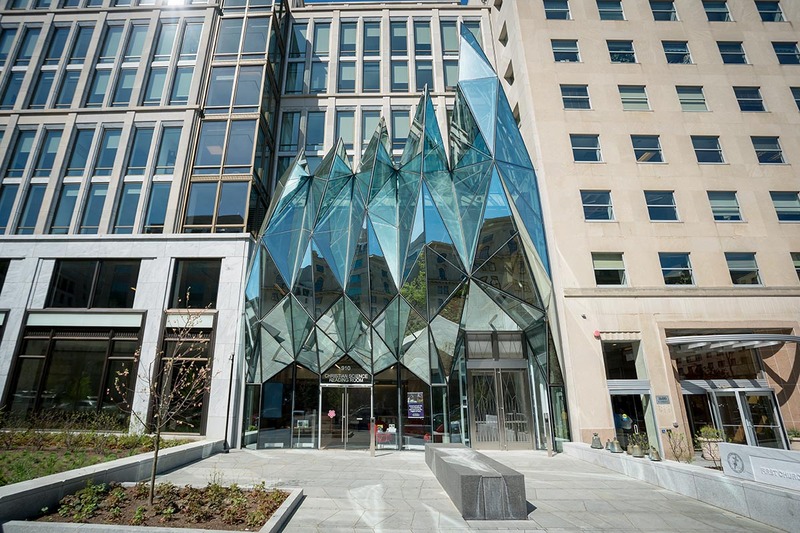 Completed in 2016, 900 16th Street blends traditional and modern, trophy office and religious space. It sold for a record $1,250 per square foot ($160M) in 2017. 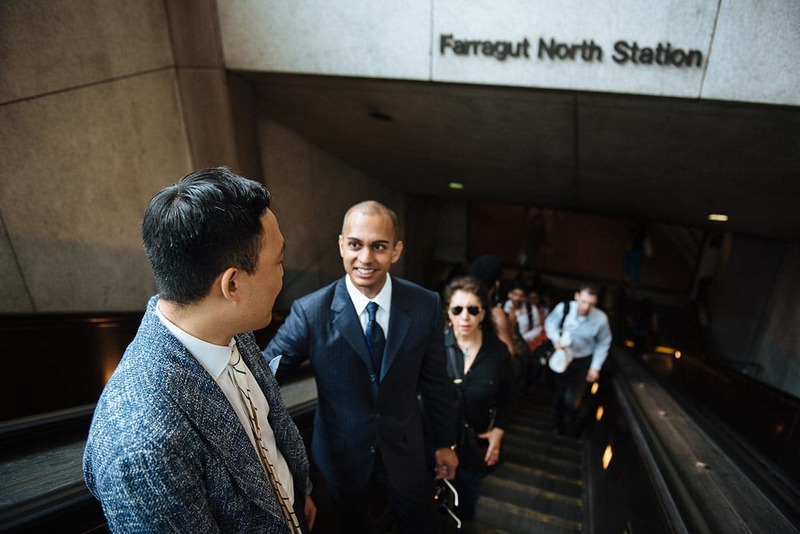 Over 43,000 Metro riders enter and exit Farragut North every weekday, the fourth busiest station system-wide in 2017. 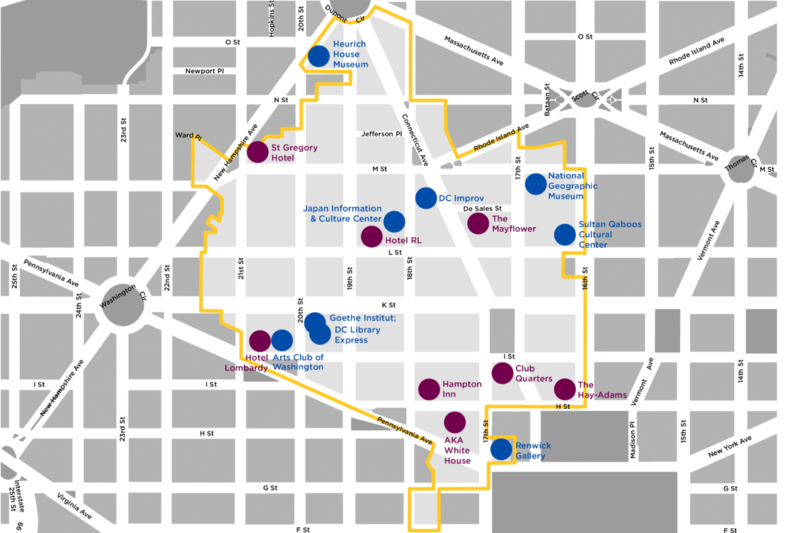 Alexander Court (2001 K) is one of the largest repositioning projects recently completed in D.C., at nearly 800,000 sq ft.
A tourist magnet: This map shows arts and cultural destinations in the BID, in blue, and hotels in purple. 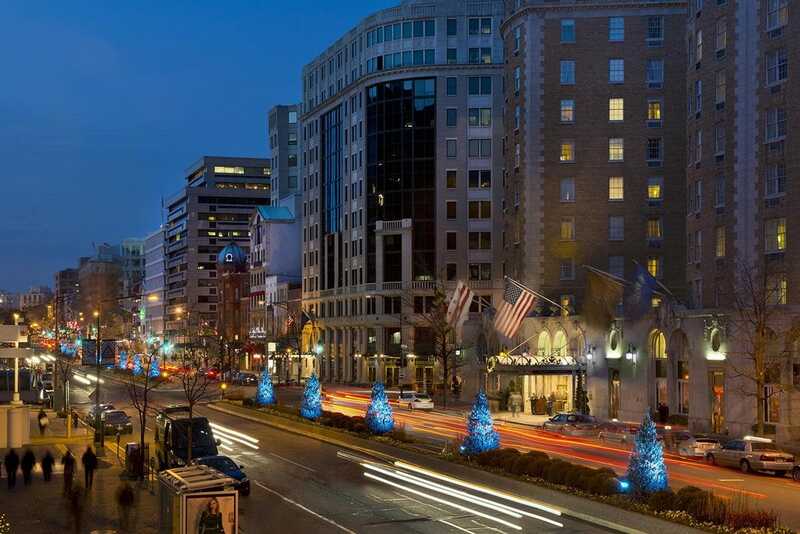 Connecticut Avenue is one of the most highly sought-after addresses in the BID, with high foot traffic, 16,000 to 29,000 vehicles per day, and plentiful retail and dining. The Golden Triangle is in the midst of a development boom. 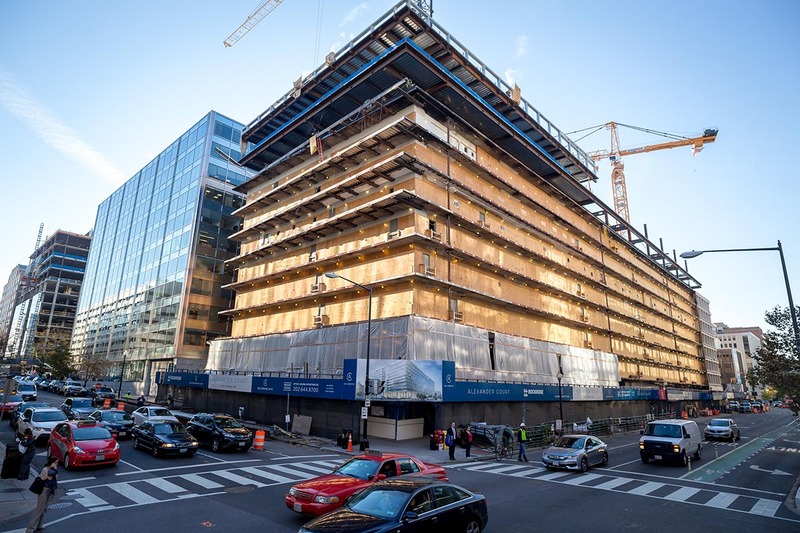 An estimated four million square feet of office space is scheduled to be renovated or redeveloped between 2018 and 2022, as well as over 307,000 square feet of hotel and educational, and residential space. The majority of these repositionings will result in Class B office buildings converting to trophy class properties. The map below highlights the current and upcoming projects within the BID, and is updated monthly to reflect the growth and transformation of the area. This surge of redevelopment has contributed to attracting and retaining regionally significant office tenants. These include law firms, technology firms, healthcare companies, and major NGOs, such as Paul Hastings LLP, Contactually, MedStar Health, and National Geographic. This activity has also attracted interest from a new class of destination retailers and restaurants seeking access to the Golden Triangle’s active, abundant, and affluent consumer base. Do you have a tip about an upcoming redevelopment or a retail space you’re about to lease? Let us know so we can add it to the maps and reports on this website, by contacting our Research Manager.